Garage Door Paint. 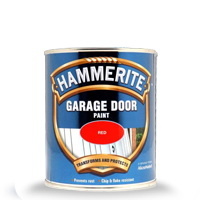 Tough, durable high gloss finish for metal and wooden garage doors. Reduces runs when applied to vertical services. White Spirit clean-up. Highly resistant to flaking and discolouration.